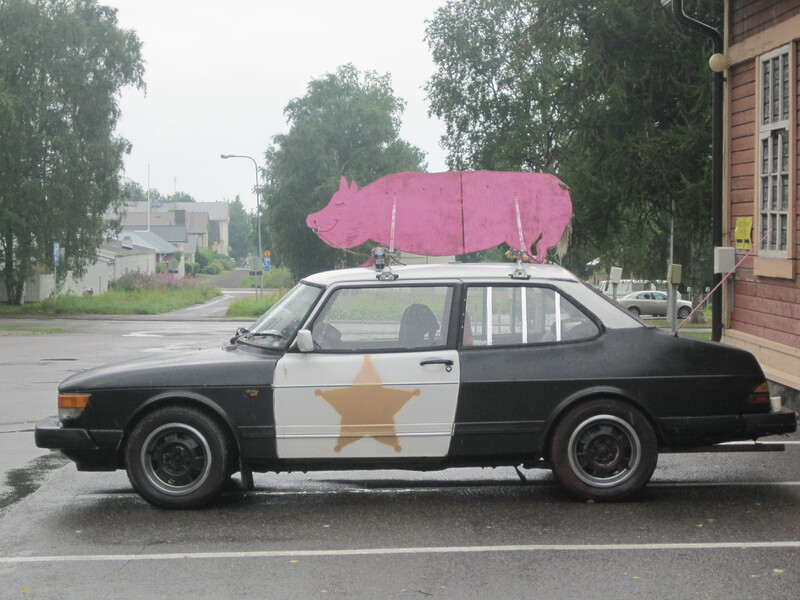 Crossing over the Finnish/Swedish border. I heard the thunder before I left the hotel this morning, 5 mins later I had left and could hear the thunder and see the lightning, 10 mins later I was soaked to the skin, and would stay that way all day, principally because it rained all day. Temps around 25 C, so not cold. Despite the marketing propaganda, my jacket turns out to be neither waterproof, nor breatheable, it is, however, unambiguously bright yellow, so it’s not all bad. I, rather rashly, put on suncream this morning too. I shall be writing a stern letter to someone, possibly Michael Fish, demanding a refund. Just the one pic today, really was too wet to get the camera out. Crossing the border into Sweden, I was hoping, at the very least, for a small fanfare, and possibly a ‘Welcome to Sweden’ sign, but instead there was a massive IKEA, which was nice of them, and clearly shows some forethought. 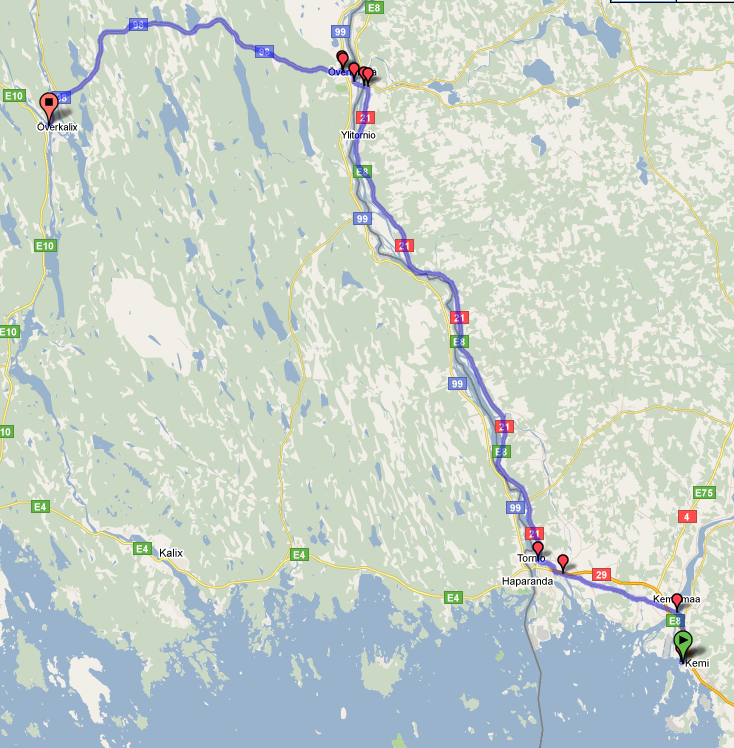 Another change of plan/route which I’ll update later – went into Sweden at Haparanda, along to Kalix, then up the E10. Ended up a little over 165 Km, but meant I dodged some of the big climbs. Only when I can! It’s pretty much one road from here on in! I’ve been there! Did you see the famously ugly church? Or bump into my chum? I missed the ugly church, I think I bumped into your chum, I gave him that fiver you apparently owe him, cheque to the usual address thankyouplease. You will have to return on another occasion to show your kids the arctic moose farm and tractor museum because they sound too good to miss. 165km! Whow with brass knobs! What if it’s not as good as the Alnarp Tractor Museum!? !